The humble grape vine is a wonderful thing. There are plenty of varieties that grow well in most climates except extremes of tropics or places prone to deep snow year on year. 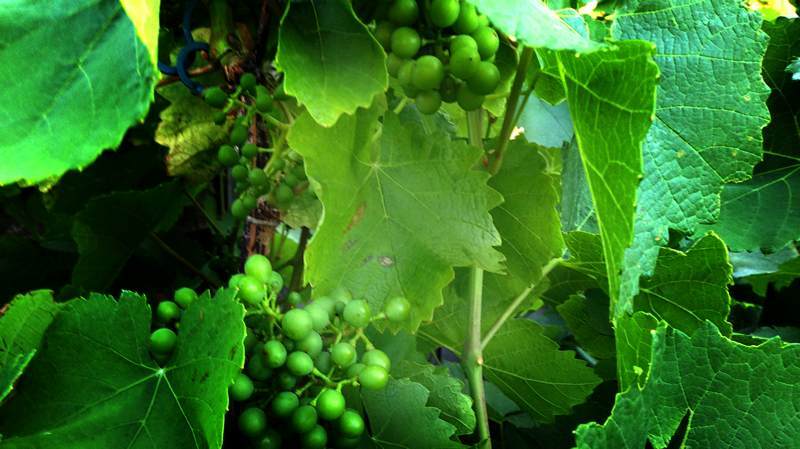 The vines produce one of the tastiest fruits known to man and the humble grape is of course the basis of wine. For years wine sellers have been telling the world how difficult it is to produce good wine from homegrown grapes. The truth is that it isn't difficult. If you would like to try for yourself, start here. Firstly, you do not need a greenhouse to grow grapes. Although a greenhouse will protect the crop and allow you to get more fruit, the time and effort in controlling pests makes many gardeners decide to ignore greenhouse varieties and opt for grapes that can be grown outdoors in their area. Consider where your vines will grow. If you want them purely for fruit, then a series of 3 foot high posts with horizontal wires to train along may be all that you need. Grape vines are climbers and need something to climb up. In the UK grapes are often grown against south facing walls. However as climate change happens more and more people are building a grape arbor which will provide both a support for the vines and a pleasant place for people to sit in the garden. Choose balck or white grape vines that are suitable to your local environment. A grape variety that does well in southern Spain is unlikely to thrive in England. Think about whether you want the grapes primarily for eating or for winemaking. Alternatively you may want a variety that is good for both. Looking after the grapes is mostly about watering and disease control. Don't be too eager with sprays and potions though because ultimately you dont want them to spoil the grapes. After a warm dry autumn when the grapes are ready to be harvested you can choose to eat them or drink them. Making wine is almost as easy as growing grapes. Remember they have been making wine for thousands of years so be assured you don't need a lot of expensive kit.